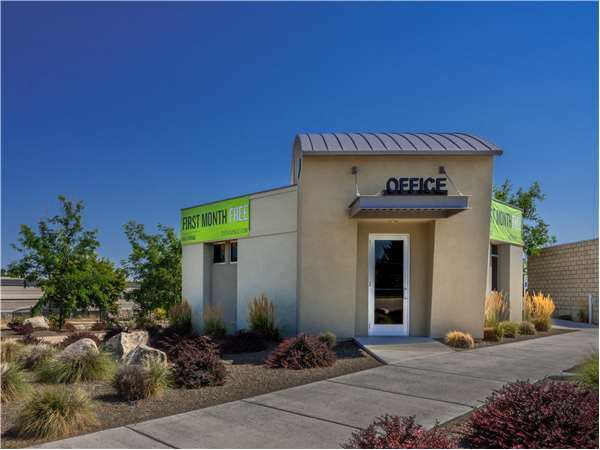 Located near the intersection of S Eagle Rd and E Easy Jet Dr, Extra Space Storage serves residents of Meridian, Sonna, Southwest Ada County Alliance, and Boise. Locals will recognize our facility next to Stone Creek Dental south of Meridian Fire Station #4. Extra Space Storage on S Eagle Rd can handle both residential and commercial storage needs in Meridian with a wide selection of storage units, drive-up access, and exceptional security! Our S Eagle Rd storage facility has unit sizes ranging from 5x10 to 14x22 with convenient features like indoor access, first-floor access, and drive-up access. We can accommodate a wide range of storage needs! At Extra Space Storage, we care about providing a safe environment for our customers. That's why our Meridian storage facility utilizes security features like 24-hour video surveillance and electronic gate access. Storage units with drive-up access offer the ultimate convenience for anyone storing heavy, bulky items. These units allow you to pull a vehicle up to your space to unload and load belongings without hassle. Some drive-up access units can also be used to store vehicles. Ask the facility manager about your vehicle storage options! Why should you choose Extra Space Storage for your storage needs? We provide high-quality, dependable storage solutions backed by excellent customer service. From our secure, well-maintained facility to our friendly team of storage experts, we work hard to ensure your needs are met and that you're satisfied with your self storage experience. Contact us today to reserve a storage unit in Meridian! Drive south on S Eagle Rd. Pass E Copper Point Dr and continue south. Our facility will be on your left after Meridian Fire Station #4. Drive north on S Eagle Rd. Pass E Victory Rd and continue north. Our facility will be on your right after E Easy Jet Dr.
Drive west on W Overland Rd. Turn left onto S Eagle Rd. Pass E Copper Point Dr and continue south. Our facility will be on your left after Meridian Fire Station #4. Drive east on E Overland Rd. Turn right onto S Eagle Rd. Pass E Copper Point Dr and continue south. Our facility will be on your left after Meridian Fire Station #4.